The Knights Inn of Anderson, SC is ideally situated between I-85 Exit 19A and downtown Anderson. The Anderson Sports and Entertainment Complex, Anderson County Fairgrounds and Anderson University are all less then 3 miles away and Clemson University, T. Ed Garrison Arena and the Tri-County Technical College are all less then 13 short miles from the Knights Inn Anderson/Clemsons front door. The contemporary and comfortable accommodations of the Knights Inn Anderson/Clemson await your arrival in scenic Anderson County, SC. 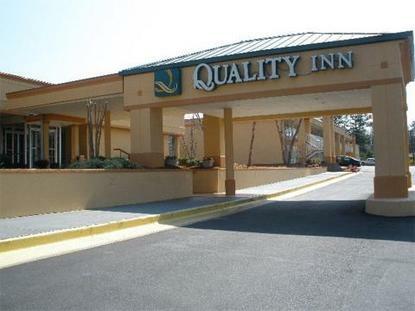 Centrally located the hotel is close to all major local attractions including Lake Hartwell, Sadlers Creek State Park, Anderson Jockey Lot and Cobbs Glen Golf Course. Whether shopping for antiques, touring Historic sites, boating on Lake Hartwell or experiencing one of the many outdoor recreational areas and state parks, a pleasant nights stay will round out the enjoyment of a day well spent. The Knights Inn Anderson/Clemson offers all guests complimentary High Speed Wireless Internet, and USA Today. A guest laundry, outdoor swimming pool with sundeck and an on-site Waffle House completes the value provided at the Knights Inn of Anderson. Every room has a iron and ironing board, coffee maker and hairdryer. The Knights Inn offers guests 3 separate Meeting Rooms with a capacity up to 500 people. Centrally located on I-85 between Greenville and Atlanta, the Knights Inn located in Anderson County, SC makes this your perfect lodging choice for a wonderful trip to the Upstate Region.